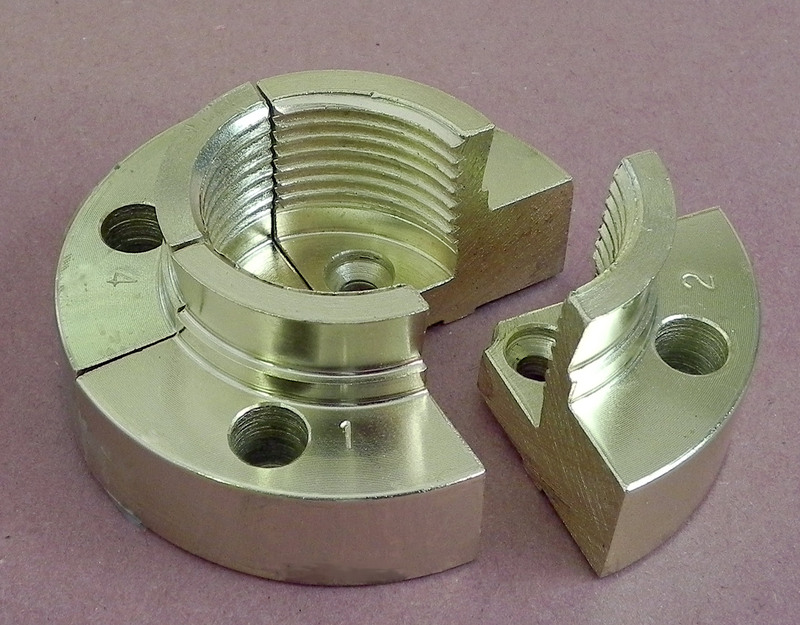 All BullDog jaws are precision machined from K1045 cold drawn, high temperature stress relieved, medium tensile steel. 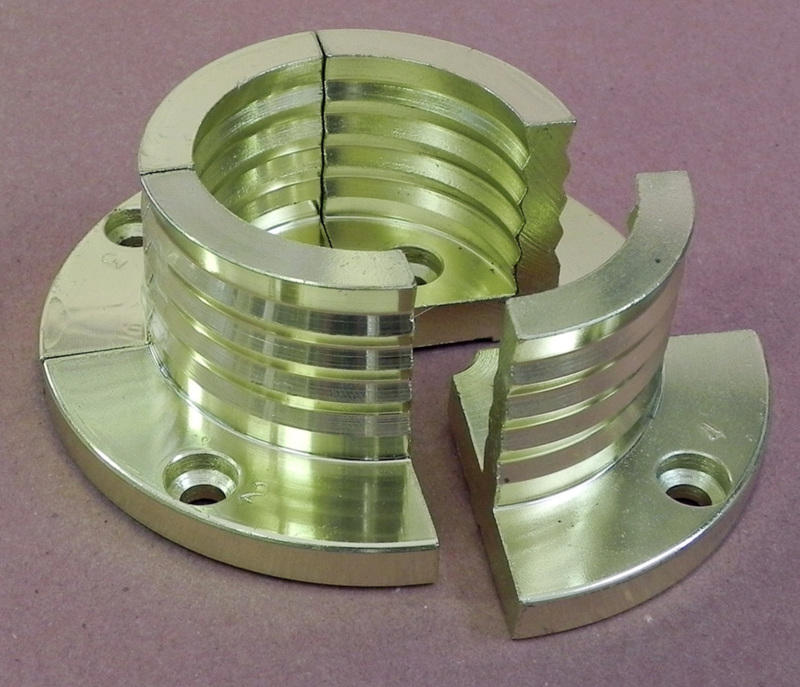 We use a proprietary electoplating process to apply a bimetal coating to the jaws, giving them exceptional corrosion resistance and long life even under heavy duty professional use. The BullDog BD 575 & 550 Pin Jaw set features a dovetailed 15/16" spigot making it easy to insert into a 1" hole. Ideal for small candle sticks, boxes and jewelry where extended reach or internal hold are critical. 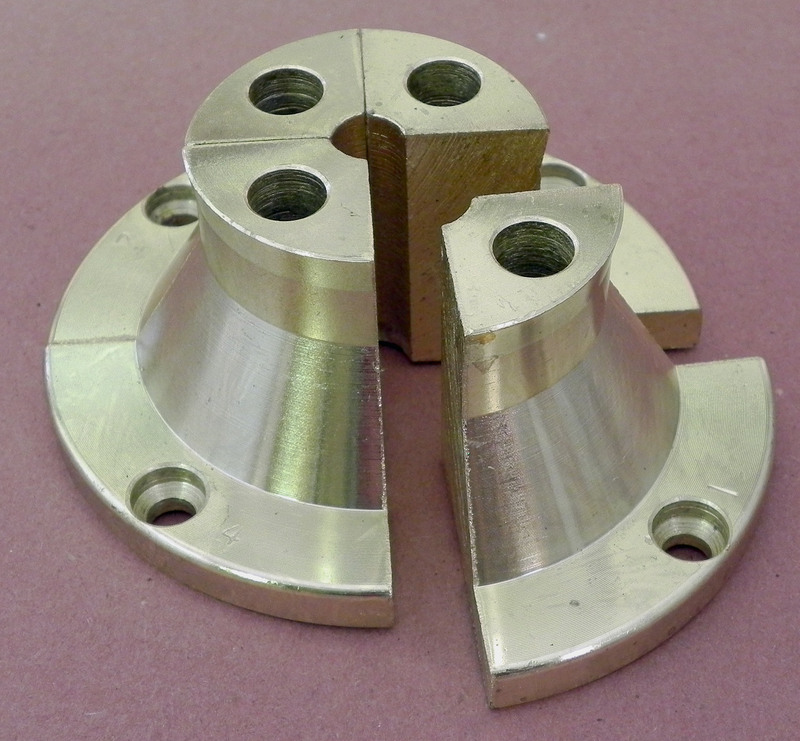 Jaws are coated with a corrosion resistant finish. Expansion Range: 1" - 2 7/8"
Compression Range: 1/4" - 2 1/8"
The BullDog BD 575 & 550 Extended Pin Jaw set features a dovetailed 15/16" spigot that fits into a 1" diameter hole. Ideal for small candle sticks, boxes and jewelry where extended reach or internal hold are critical. Jaws are coated with a corrosion resistant finish. Compression Range: 3/8" - 2 15/16"
The BullDog BD 575 & 550 Heavy Duty Extended Pin Jaws are designed for applications requiring big heavy jaws for internal gripping. This set features a 2 1/8" diameter spigot with both internal and external dovetails that provide an amazingly rock solid grip. These jaws are ideal for drilling pen blanks or holding boxes or applications where extended reach or internal hold are critical. 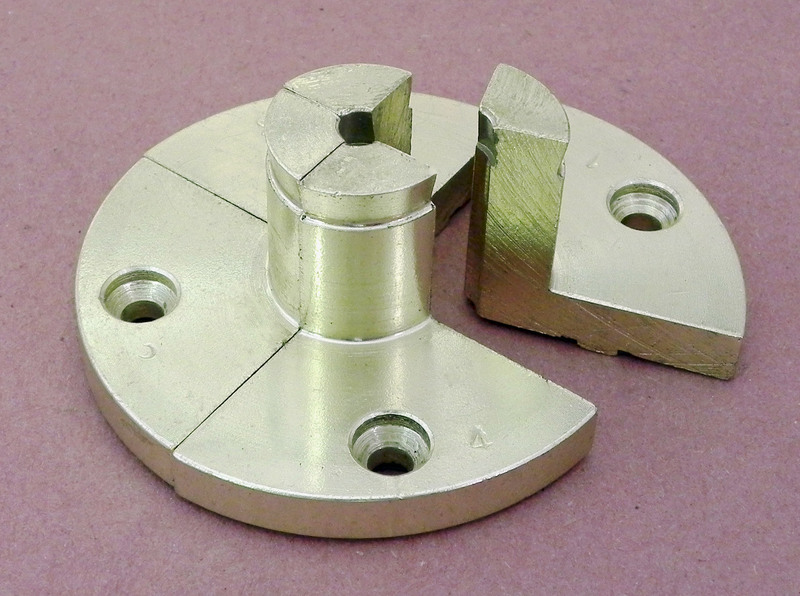 Jaws are coated with a corrosion resistant finish. Expansion Range: 2 1/8 - 4 5/8"
Compression Range: 3⁄16" - 2 3/4"
The BullDog BD 575 & 550 Long Nose jaws feature a dovetailed 1 ⅞ diameter nose for expansion chucking that provides 1 ¾ spacing between the chuck and back of the turning. This allows reaching behind the turning without having to remount it to reach the back. Ideal for small bowls, boxes and jewelry where extended reach or internal hold are critical. 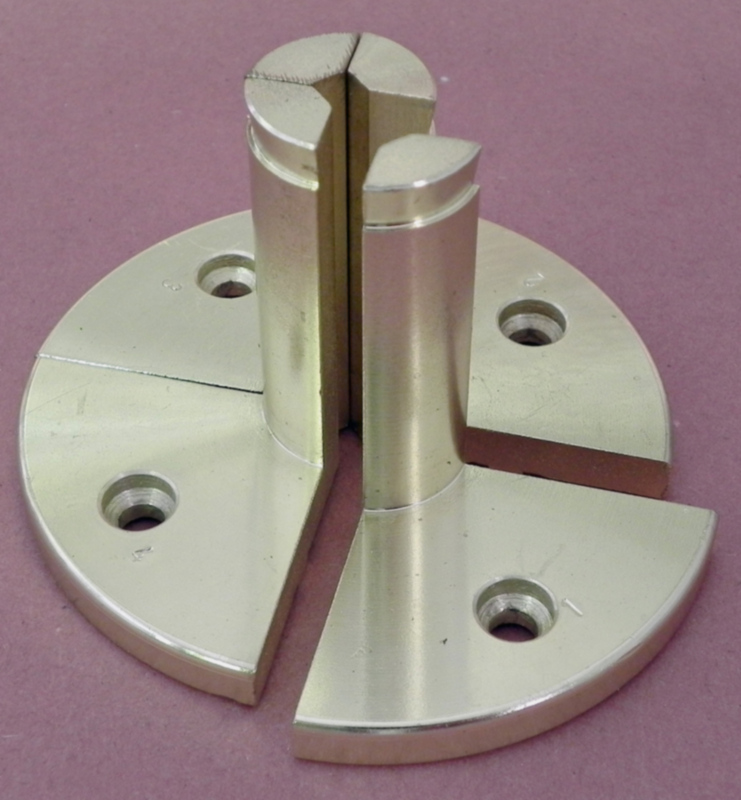 Jaws are coated with a corrosion resistant finish. Expansion Range: 1 ⅞ " - 4 ½"
Compression Range: ⅜" - 3"
BullDog Step Jaws feature two different serrated jaw step sizes along with serrated inner gripping surfaces. 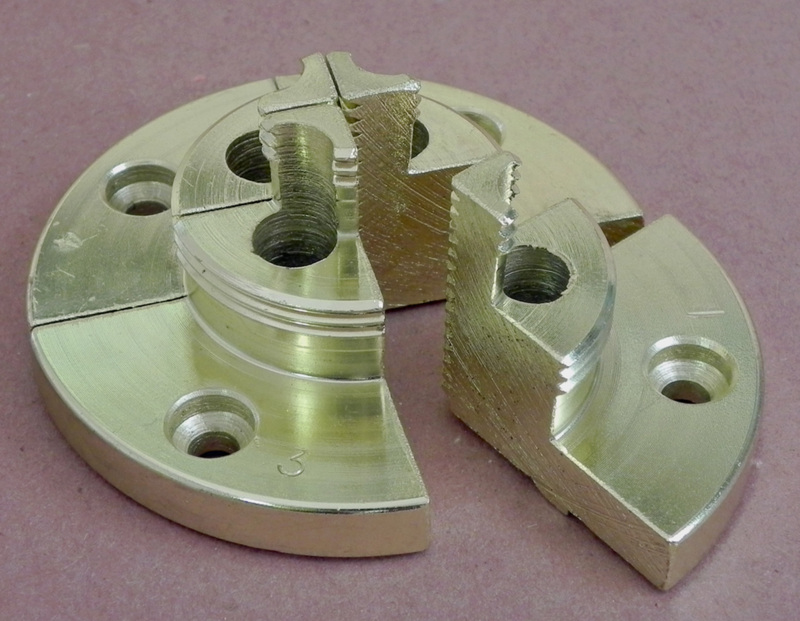 Jaws are coated with a corrosion resistant finish. Upper Step: 7/8" - 3"
Lower Step: 2 1/16" - 4 1/4"
Compression Range: 0" - 1 7/16"
Upper and Lower Step Length: 1/2"
The BullDog BD 575 & 550 Big Grip Jaw set features a dovetailed 2 3/8" rippled spigot for aggressive hold on long tenons or internal expansion chucking. Ideal for small boxes and jewelry where extended reach or internal hold are critical. 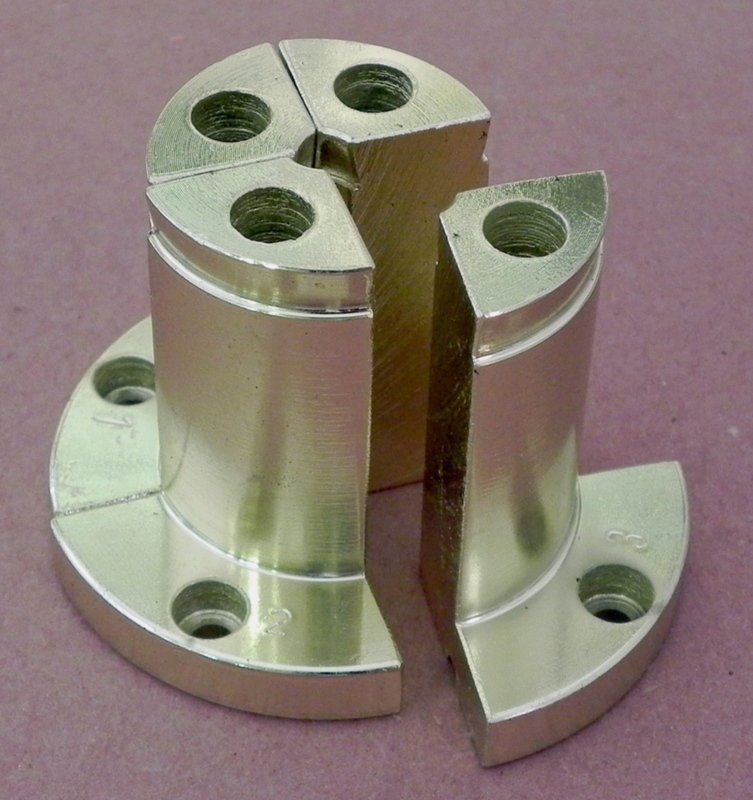 Jaws are coated with a corrosion resistant finish. Expansion Range: 2 3/8" - 4 11/16"
Compression Range: 1 7/8" - 3 7/8"
The BullDog BD 575 & 550 5" Big Grip Jaw set have double dovetailed jaws both internally and externally providing an aggressive grip on both tenons and internal expansion chucking. Ideal for instances where a larger tenon is desired. Jaws are coated with a corrosion resistant finish. Expansion Range: 4 7/8 - 7"
Compression Range:	3 7/8" - 5 3/4"
The BullDog BD 575 & 550 7" Big Grip Jaw set have double dovetailed jaws both internally and externally providing an aggressive grip on both tenons and internal expansion chucking. Ideal for instances where a larger tenon is desired. Jaws are coated with a corrosion resistant finish. Expansion Range: 7" - 9 1/2"
Compression Range:	6" - 8 3/4"
The BullDog BD 575 & 550 Multi Step Jaws give you four jaws sets in one for gripping tenons and external dovetails for expansion chucking. Ideal for instances where a different size tenons are needed without changing jaws. 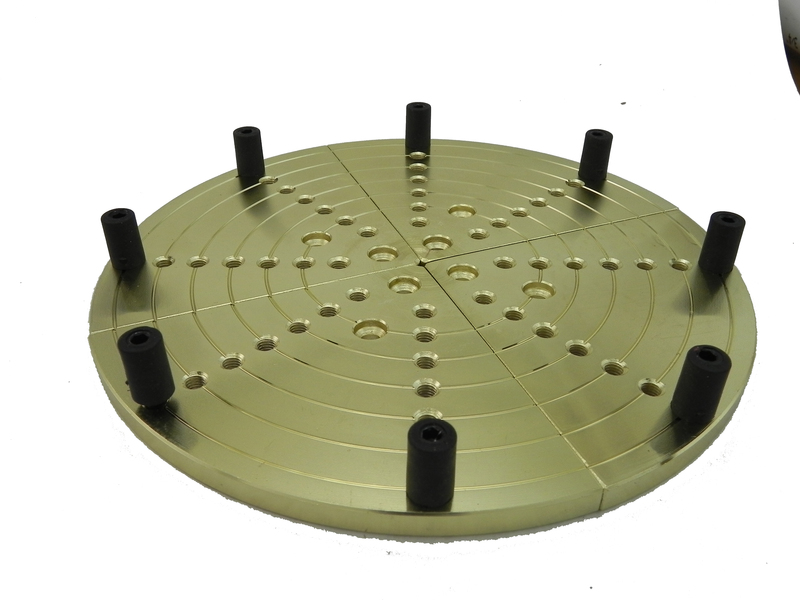 Expansion Range: 4 9/16 -6 3/4"
Step 1: 1 5/8" - 3 5/8"
Step 2: 2 3/16" - 4 3/16"
Step 3: 2 3/4- 4 3/4"
Step 4: 3 7/8" - 5 3/4"
The BullDog BD 575 & 550 Serrated Dovetail Jaws provide standard external dovetails along with serrated internal compression jaws for an aggressive grip on both tenons and external expansion chucking. 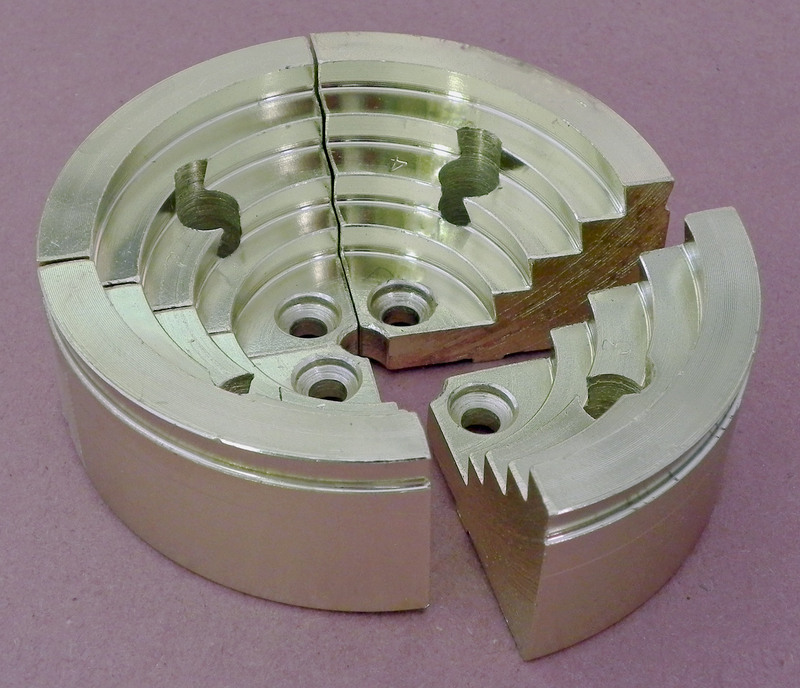 Dovetail Expansion Range: 2 7/16 -4 3/4"
Compression Range: 1 3/4" - 3 7/8"
The BullDog BD 575 & 550 Flat Plate Jaws have a seven steps that allow for turning a wide range of bowl bottoms and platters. Jaw plates are made of steel rather than aluminum for maximum rigidity, flatness and vibration damping. 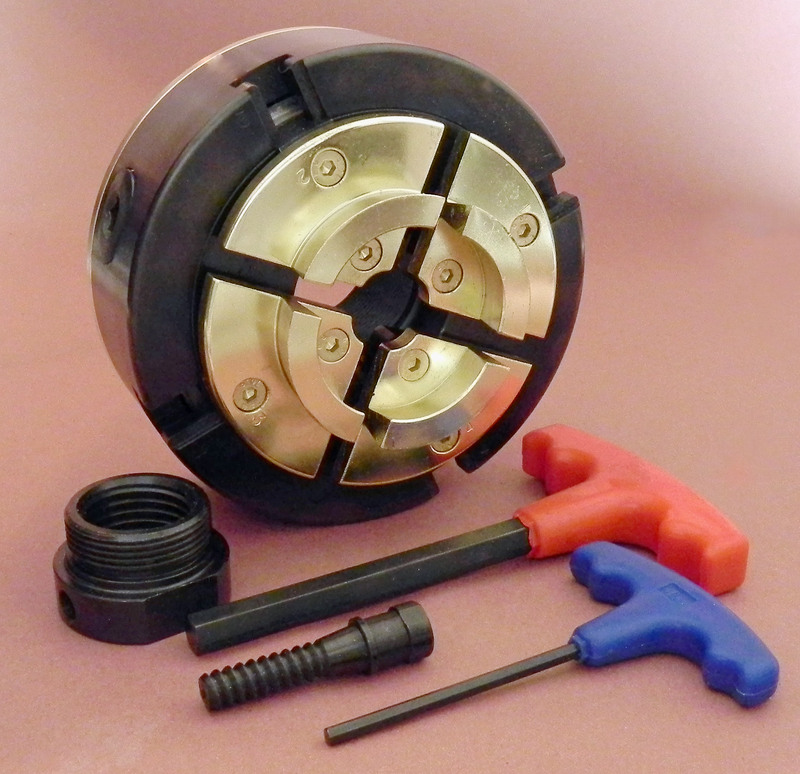 Compression Range: 2 3/4" - 9 5/8"
Max Expansion Range Range: 3 5/8" - 10 1/2"
The BullDog BD 575 & 550 Face Plate Ring provides you the ability to attach the plate to a turning using the chuck instead of an expensive dedicated full size face plate. 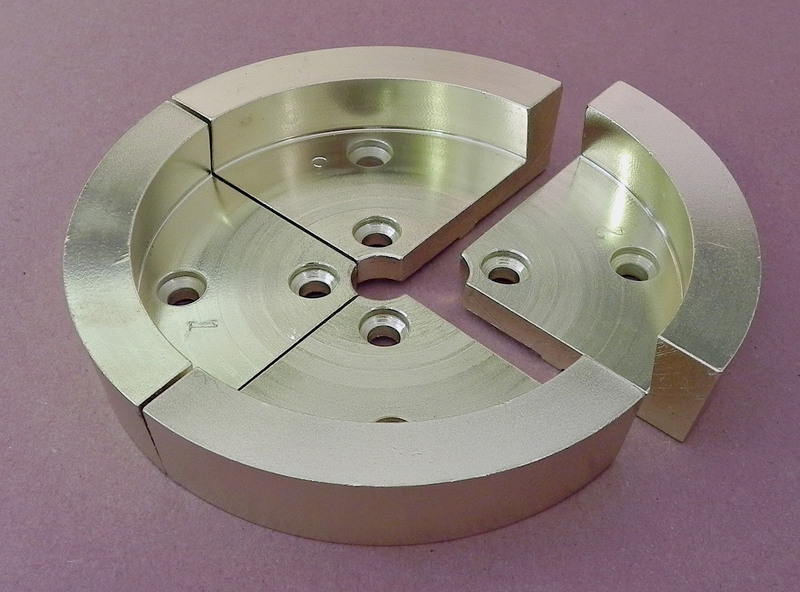 Ideal for rapidly changing turnings using just the chuck. Internal ring has a dovetail recess matching the Standard Dovetail Jaw Set. 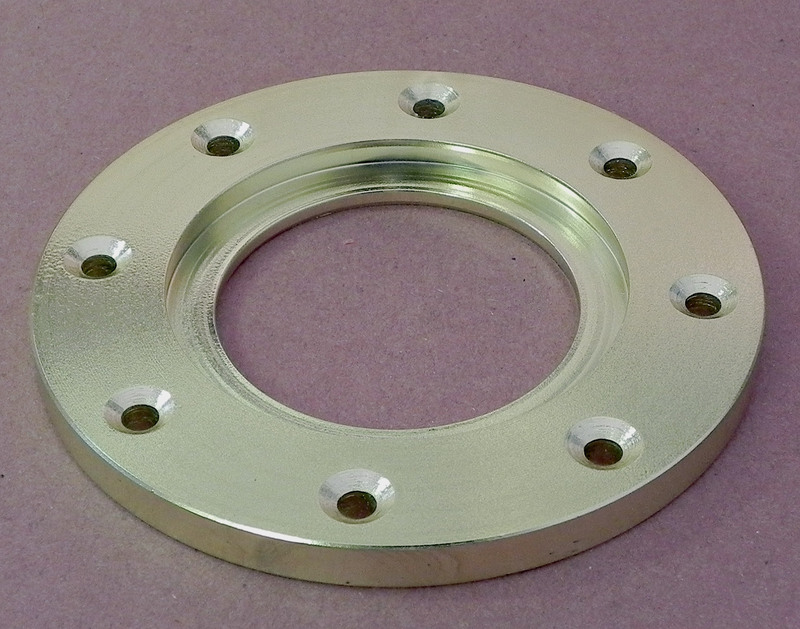 Face Plate Ring is coated with a corrosion resistant finish. Internal Expansion Ring: 2 11/16""